I receive a fair number of emails and messages from people who are interested in becoming guides. I usually opt to spend a few minutes on the phone with potential guides, as it can be easier to explain all of the resources available to guides/blind athletes, than it is to put in one email. I realized that the most efficient way to share this information is to create a resources page for my blog. So, for sighted athletes who are interested in becoming guides and for visually impaired individuals who are interested in participating in running or multi-sport events, please see below for some of the most helpful organizations and resources that I’ve come across. MISSION: To positively impact the lives of athletes with physical disabilities and visual impairments by developing their skills in paratriathlon. About: Dare2tri Paratriathlon Club serves all ability levels of youth, adults, and injured service members who have a physical disability such as amputation, spinal cord injury, stroke, spina bifida, cerebral palsy, and those with visual impairments and blindness. I recommend volunteering at a camp or clinic if you live near Chicago, or can travel easily. CATAPULT is a 501-C-3 non-profit entity that aims to CATAPULT disabled individuals over adversity and into the world of endurance sports and athletics. 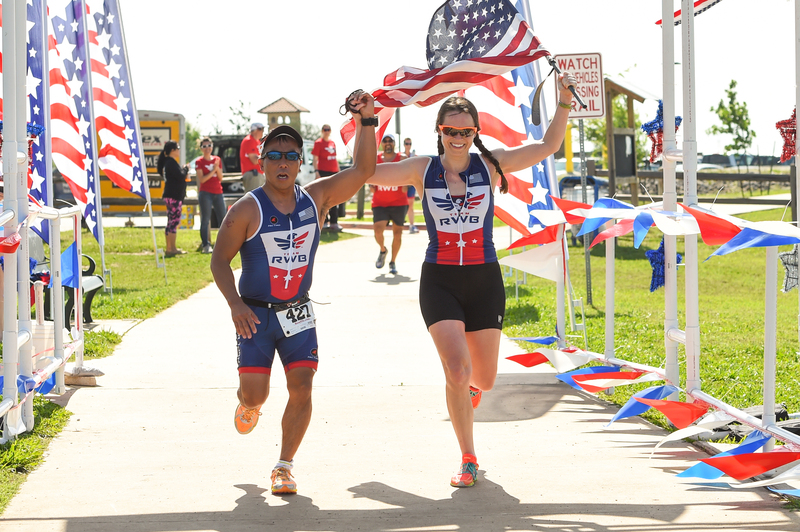 Founded in 2015 by Jarrett Hubert and four other Houston area triathletes and runners, CATAPULT hopes to become the lead organization in the US assisting any individual with a disability with coaching, funding, training, education and most importantly, full open access, to the endurance sports world. CATAPULT will strive to help those individuals who just experienced a disabling life changing event and just want to find a hobby that can improve their way of life, all the way to athletes who are TEAM USA Paralympic hopefuls. CATAPULT will be in our community, finding these athletes, educating them, assisting them, and helping to launch them to the finish line! I recommend signing up for the Achilles newsletter and reaching out to your local chapter, if one is available. NYC residents should drop by one of Achilles’ run workouts in Central Park. The New York City Chapter meets at New York Road Runners Club (9 E. 89th Street) on Tuesday evenings at 6:00PM and Saturday mornings at 10:00am. At roughly a quarter past the hour they walk together to Central Park, at 90th Street and Fifth Avenue, adjacent to the Central Park Reservoir to hear announcements and be paired up based on running paces and distances. You do not need to sign up. Just show up and see how theyrun. 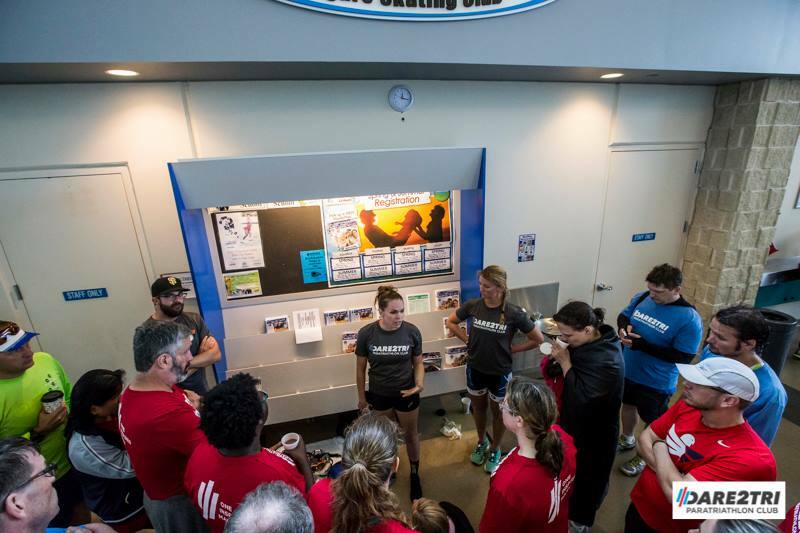 MISSION: United in Stride is a tool for uniting visually impaired runners and sighted guides. Finding the right running partner can be challenging, and incredibly rewarding. Our goal is to make it easier for you. You will need to be proactive if you use this site. Please help us spread the word by registering as a guide or blind athlete and encouraging your friends to do so as well. The more people we can get to sign up, the better the site will become. This organization connects both civilians and veterans across the world. Team RWB has 90,000 members globally. Visit the chapters page to sign up for the team. Though Team RWB does not specifically focus on para-athletes, I have been able to find more guides through this organization than any other. If you are a blind athlete, please indicate in the comments section that you are looking for guides. The email will be routed to me. You can also send me an email at caroline.gaynor@teamrwb.org for more information. If you are visually impaired, join the team. If you are a sighted guide, sign up for USABA’s newsletter. I have attended two of USABA’s tandem cycling camps. They are a fantastic resource for blind athletes and tandem pilots. I encourage visually impaired athletes to apply for a CAF grant. Every year CAF awards grants to well over 1000 athletes. Grant amounts vary according to athletic ability, financial need and the type of grant requested. Grant amounts average $1,800, and will not exceed $5,000. CAF also hosts camps and clinics throughout the year. I recommend signing up for a camp as a volunteer or as an athlete. Our international team of blind and sighted runners race to support individuals throughout Massachusetts living with vision loss. Their efforts allow the Massachusetts Association for the Blind and Visually Impaired (MABVI) to deliver professional, peer and volunteer support to over 1,100 individuals each year, giving them the support they need to live with dignity and independence. If you would like to run the Boston Marathon as a guide or as a VI athlete, fill out the initiation waiver application. The Blind Stokers Club (BSC) has roots from 2005, based on teamwork and mentoring, to introduce and share the simple pleasures of recreational bicycling with those who cannot see well enough to pilot a bike. Birthplace and base camp for the BSC is San Diego, California USA, however you can live anywhere and be associated with the Club. The Club operates by forming teams and conducting rides. Teams are composed of 3 parts: stoker, captain, and tandem bike. Dave White, director of the Blind Stokers Club, is an incredible resource for pilots and stokers. Email him at director@blindstokersclub.org with any questions.